Two 18-year-old boys find themselves sharing a room when they arrive at Oxford. Life draws them together at whirlwind speed as they find themselves playing opposite each other in a student production of Hamlet and, after a few false starts, playing together in bed. Love has many lessons to teach them as they grapple with their emerging sexuality, deal with the machinations of others, and dare to look at the face of lasting happiness. Adrian Gottlieb is winning at life. He's a successful video game designer with everything a man could ask for, including a warm, comfy ride to Denver and a date for his sister's wedding. But he finds himself in need of a total reboot when he's left stranded at a snowy campground in Utah. Holiday plans? Epic fail. Love can appear unexpectedly: a chance meeting at a friend's wedding, the arrival of a handsome new co-worker...or while being robbed at a convenience store. For some, love seems an impossible dream. Growing up gay in small-town Missouri, Jace Holden thought his chance would never come. When he meets Victor - a wild soul and fellow outsider - his chances of finding love go from bleak to a very uncertain, maybe. Bracing his heart, Jace chases after his desire, hoping for a warm hand to hold his tight. 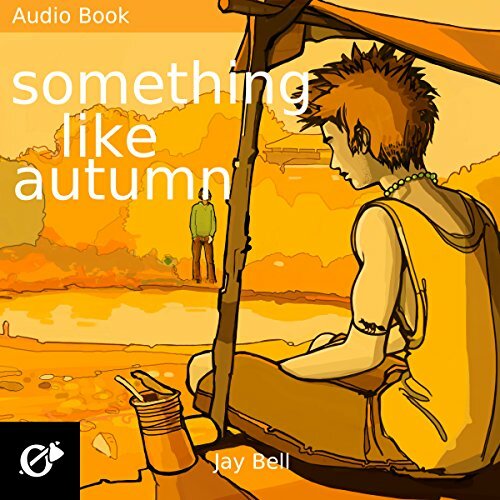 Something Like Autumn tells the story of Jace's life before the events of Something Like Summer, while also revisiting his time with Benjamin Bentley. The Seasons Series: Book 1: Something like Summer, Book 2: Something like Winter, Book 3: Something like Autumn, Book 4: Something like Spring. What about Kevin R. Free’s performance did you like? He gives a sound to the characters in my head. Keep the tissues handy, they will be needed. OK I'm convinced this book series should be the Harry Potter series at least for us gays. This last book left me crying so hard! Getting to know each character in such depth is an amazing experience. I'm starting Something Like Spring right now and will probably start the whole series over again right after finishing it!!! I didn't think it was possible to like a book more than the previous book , Something Like Winter (Book 2 in this series), but alas here I am. I fell in love with Jace's character even more so than Ben and Tim ( and I never thought that would be possible ). Being in my mid 30s the author has been so accurate with the feel of the times that it brought back so many memories it's uncanny. Once again Jay Bell had me laughing , crying, and loving the story and characters. Hands down my most favorite series ever. 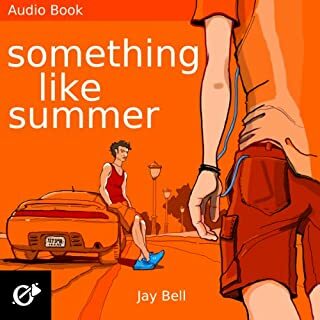 This is the third installment of Jay Bell's 'Something like' series that I've read and unbelievably, it was even better than the previous ones! 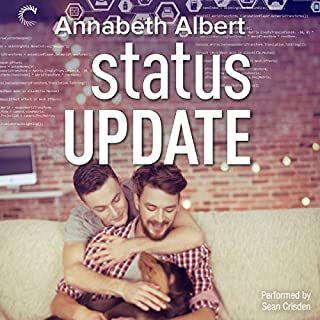 While the second book meant the most to me as I could relate the most, this one is to me the cap stone that holds together the whole story of Ben, Tim and Jace. As there are four seasons, not just three, I'm now curious about Spring. I have high expectations, as this Author is getting from great to even better from book to book! Will leave you wanting even more. What did you love best about Something Like Autumn? After listening to books one and two, I knew to have the tissues ready. This was really a great listen that I couldn't put away. I reluctantly began this story. I really enjoyed the first two books in this series, but Jace was easily my favorite character. That made me a bit uneasy about starting this story, as I knew how it would end and I wasn't sure I wanted to watch the emotional turmoil unfold. In the end, I was glad I gave in. I didn't expect the format of this book. Nearly the first two thirds of the book really belong to Jace and Victor. Their love story is unusual, frustrating, and tragic. As a teenager, I knew a guy quite a bit like victor, and I could sympathize with the allure someone like that might hold for Jace even though, for Jace's sake I wish he hadn't fallen in love with Victor. Victor would never have been able to fill the role Jace needed from a partner. As the book progressed, I became increasingly anxious. There just wasn't enough time left. I was watching the remaining hours of the book dwindling away and Jace was running out of time to enjoy his mostly happy ending. Ben and Jace's story was running out of time and it wasn't enough. That's part of the point, I guess. Jace didn't get to live the long life he deserved, but he got more than he expected. This story is all about tragedy, what could have been but was not. Bring a box of Kleenex. Even knowing from the prior two seasons what happens to Jace, you cannot be prepared. 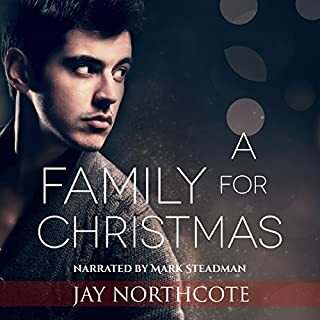 I am not certain where Jay Bell got the courage to write this one, but he did and it was amazingly good. Oh, and Kevin Free? Fantastic narration. so this is yet another POV story relieving the major plot of SUMMER(Ben) and WINTER(Tim) and on this one It made me dislike Ben. but over all love the story.